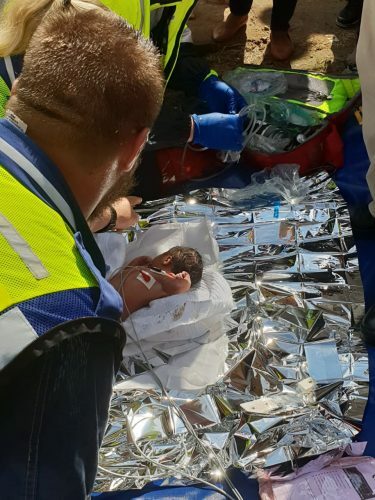 Rescue Care Paramedics together with Metro Search and Rescue and the Ethekwini Fire Department getting to a baby stuck in a drain on Barracuda Drive in Newlands East, Durban, 11 February 2019. Picture: Rescue Care. 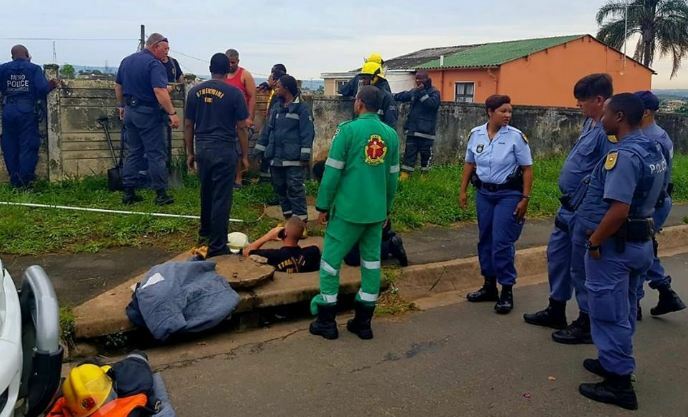 Passerbys are believed to have heard the baby’s cries and alerted authorities on Monday morning.